Brain Drain is simply defined as the phenomenon where the qualified citizens of a nation leave it in lure of better shots in other countries. Their escape might be for few months or could even last for their entire lives when they decide to permanently settle there. India has suffered greatly due to the Brain Drain when the idea started taking shape around 1970 and surprisingly, it continues to cast an adverse impact on its economy and development. The people find life moving smoothly in developed countries. There are broad new avenues open for them to challenge their skills and utilize them to the optimum. The developed countries such as U.S.A, Canada, etc provide for enticing standards of living. The sanitation, hygiene, environment, basic amenities, communication and other needs are fulfilled properly. RESEARCH CALLS FOR AN ACTION! There is no denying the fact that Indians possess great intelligence. They are blessed prodigies. They have skills, abilities and the caliber but what they lack is a sound platform. The learned men prefer to move abroad seeking opportunities in order to utilize their god-gifted brains and quench their thirst for knowledge. The developed countries have better technology and give liberty to the ones who desire to dig deep in search of something new! Students belonging to the “creamy layer” of the country choose other developed countries over their own country to pursue education and job opportunities. An acute shortage of jobs compels the young brigade to leave India in search of satisfying job prospects. There are umpteen social evils still existing in India despite 70 years of its Independence. With the globalization as well as modernization, we Indians are still stuck with the idea of reservation and corruption. These elements don’t seem to leave our sides ever. They are the prime reason behind the frustration of youths. The ‘General’ people find it tough to survive and sustain the brunt of rampant social evils and eventually decide to condemn their country. If we look from the perspective of the people escaping from their abysmal, unsatisfying conditions, it is quite fair and justified on their part to take the crucial step because after all, each one of us has an equal right to better living. But considering the flip side of the coin, we cannot shy away from accepting the fact that the Government invests huge sums of money in forms of scholarships on developing its human resource. 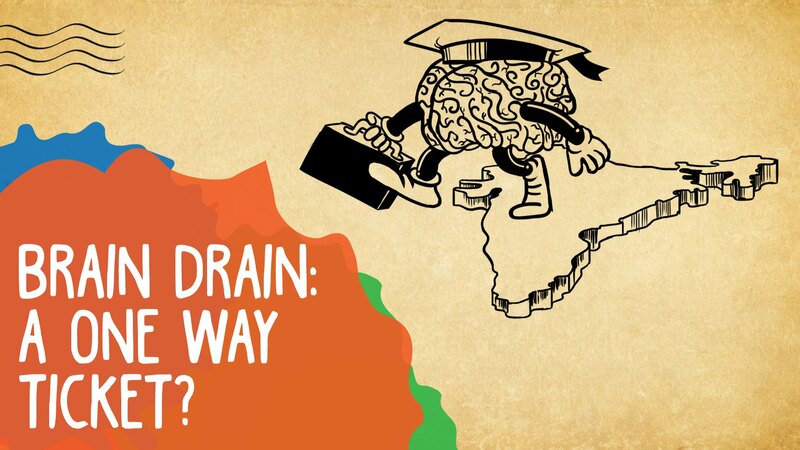 The Brain Drain is a kind of deception that India faces after giving life to its children. This situation calls for an action, a vital realization that must dawn upon both the Government as well as citizens of India that the pinnacle of development could be reached only when both of them work together. The Government must be sensitive towards its subjects and the people must be tolerating towards their country. A mutual understanding can only help us in coming out of this problem.